Attention all LD’s. 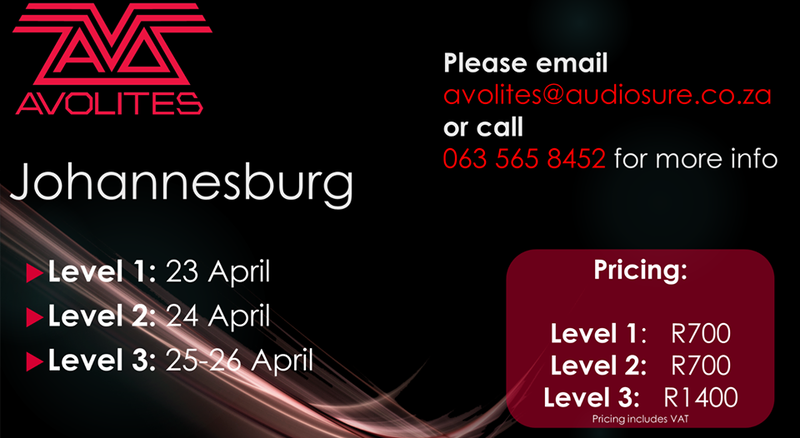 Avolites South Africa and Audiosure will be hosting training sessions at their offices in Johannesburg. We will be covering level 1,2 and 3 training. Please view the attached picture or email avolites@audiosure.co.za for more information. As space is limited, we encourage you to secure your booking early. We look forward to seeing you there! !